We found the inspiration for this piece hiding in a resale shop, and we’ve used its curvy silhouette frames and fluted side posts to make our French Inspired Silhouette Dresser. Pair it with our gracefully shaped Silhouette Mirror for a lovely duo. 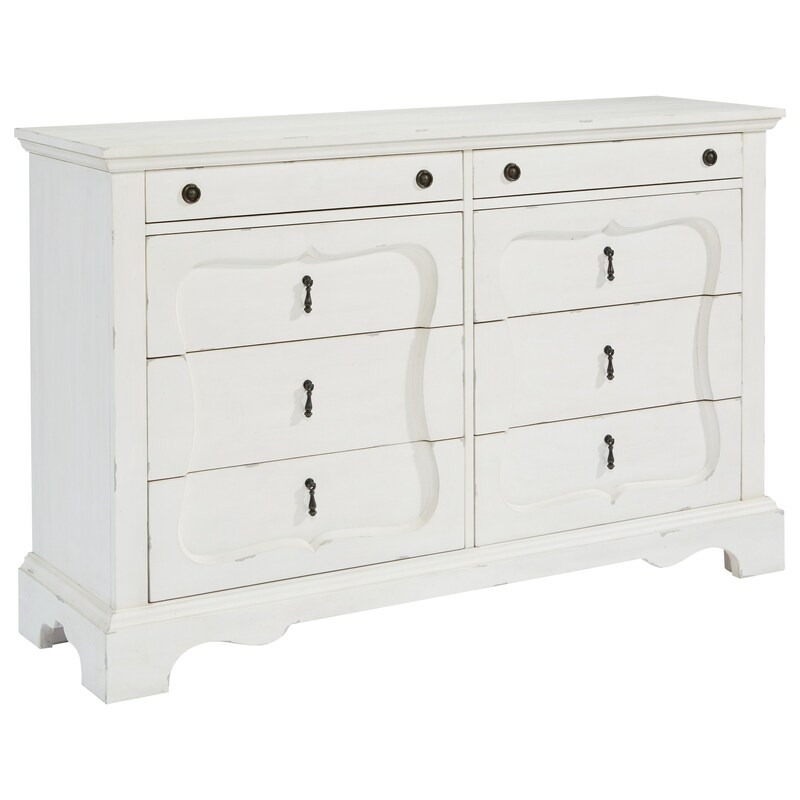 Both pieces come in our relaxed Jo’s White paint finish. The French Inspired Silhouette Dresser - Jo's White by Magnolia Home by Joanna Gaines at Darvin Furniture in the Orland Park, Chicago, IL area. Product availability may vary. Contact us for the most current availability on this product. Browse other items in the French Inspired collection from Darvin Furniture in the Orland Park, Chicago, IL area.